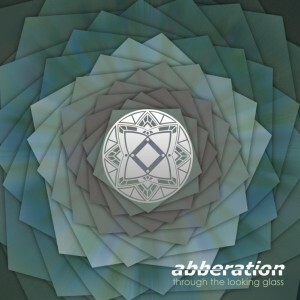 After the release of Drugstore Cowboy on Breaking The Wall, Abberation returns on Bolivian netlabel Neurotrance Records to present his new EP: Through The Looking Glass. Abberation is the solo project of South African producer Christian Brandt, now based in the UK. His music is mainly daytime orientated and guaranteed to put a smile on your face. Expect melodic soundscapes, big beats, and deep grooves that will make you move to the rhythms of the cosmos. Featuring artwork by Kavan Webb and guitar work on track 4 by G. Willard. MP3 Download | FLAC Download | WAV Download · Download count: 9,159. Released under a Creative Commons licence for noncommercial usage. Be sure to investigate the rest of the Neurotrance Records discography for more free music! Nice work! Love these tracks!!! Good stuff, And what an album cover!!! Can’t look away from it lol! Interesting stuff, Fine Devine is amazing!!!! More music like Fine Devine!! Awesome Creativity! Fine Divine indeed – Makes me feel very proud to be also a South Afri-can! Thanks for the support Guys! More will follow!! Thanks For all the free music although I think sometimes I have dyslexia which is bad anyway. Thanks Again. I’ll eventually give you something back. Would also win my price for the best album cover.